Grand Canyon University has been declared “the most outdoorsy school in the nation” by Outdoor Nation. 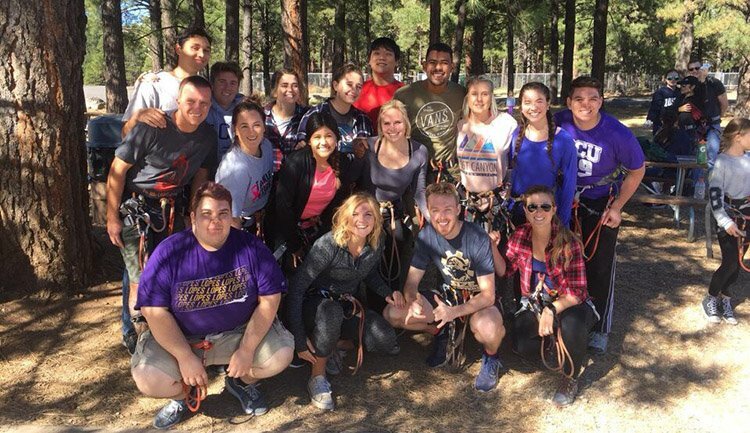 Students at Grand Canyon University have a community-focused environment and an appreciation for life outside campus. Now they have a national award to show for it. 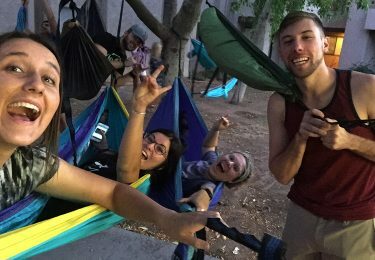 GCU has been named “most outdoorsy school in the nation” after winning its division in the Outdoor Nation Campus Challenge, a Mother Nature-meets-March Madness competition in which 100 colleges from across the nation go head to head for four weeks to see who can get the most people outside and active. The challenge ended Oct. 15, and GCU won the West Region of Division 2, a category for first-time entries, by earning 105,066 points. 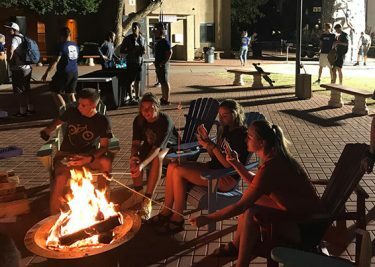 Outdoor Recreation Coordinator Chad Schlundt said that although the University had no expectations entering the competition, he is not surprised GCU won. To earn points, participants logged their activities using the Outdoor Nation app and posted photos of their outdoor adventures. 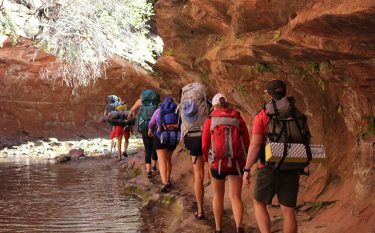 Different activities were weighed at different points and ranged from hiking and backpacking to rock climbing, slacklining, camping, paddle boarding and even hammocking and skateboarding. Schlundt said 17 resident advisors took a ropes/challenge course, went caving and horseback riding one weekend and logged it in. “That was the coolest thing to see,” he added. … and an outdoor fire with friends. According to Schlundt, 976 GCU supporters signed up to participate in the competition. “Ultimately, recognition is kind of cool, but what I do here is exactly what the whole goal of Outdoor Nation is – to see students have a work-life balance and get connected outside,” he said. “Recreation is beneficial for a healthy lifestyle. It is an opportunity to refill your cup as it is getting drained with work or school. There are activities for each and every single individual, and outdoor recreation helps walls collapse as people are placed outside of their comfort zones.